North & King Signature Travel will not intentionally sell or disclose any personal information about you or your travel plans to any other persons, organizations, or companies known to collect such information expressly for the purposes of delivering unsolicited email or illicit materials. Your personal information may be divulged when required by law or when protecting the legal rights and/or property of North & King Signature Travel. 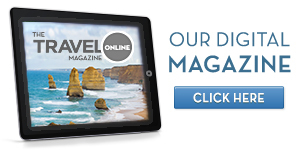 To help you discover ways to explore the world, we're pleased to share our digital magazines, The Travel Experience Online and the Ultimate Experiences Online. With travel protection through Travel Guard you'll have valuable coverage that travels with you and your family.